(Quin Hillyer, Liberty Headlines) A new Department of Commerce investigation into whether imported uranium poses a national security risk serves as a reminder that Bill and Hillary Clinton played a role in reducing the availability of U.S.-owned uranium stores. Domestic production of uranium is at or near an all-time low, at 2.44 million pounds, compared to a high of 43.7 million pounds in 1980. Safe and effective supplies of uranium obviously are of key importance, both for U.S. nuclear deterrence forces and for domestic energy supply. Some 20 percent of U.S. energy consumption comes from nuclear power, but Bloomberg New Energy Finance reports that more than half of American reactors are losing money, to a combined tune of nearly $3 billion per year. The Trump administration already had begun taking steps to keep American nuclear plants open, but now this new study will assess whether foreign sources – especially from Russia and its semi-vassal allies – can be trusted. Russia and Kazakhstan together provided 38 percent of uranium used by American reactors in 2016. Moreover, another 20 percent is supplied by Canadian-based Uranium One – which, though located in Ontario, was purchased in several stages from 2010 to 2013 by the Russian state-owned uranium monopoly called Rosatom. 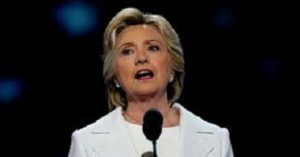 As even the liberal New York Times reported, “The deal made Rosatom one of the world’s largest uranium producers and brought Mr. Putin closer to his goal of controlling much of the global uranium supply chain.” Therein lies the Clinton connection – again, as reported by none other than the Times….